Time Machine is an easy-to-use backup system with a collection of features that make it the go-to backup system for most Mac users. However, like all backup applications, Time Machine is subject to errors and problems that can creep in and cause you to worry about your backups. Despite this disturbing message, your backup files are probably all in good working order, and no backup data has been lost. However, you can't back up any new data to your Time Machine drive until you fix this problem. The cause of the error message depends on a few factors, but in most cases, your Mac thinks the drive's permissions have changed to read-only. 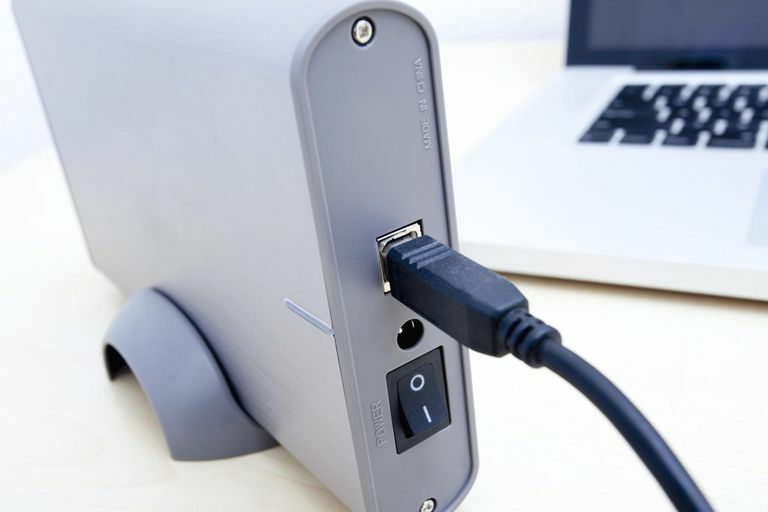 If you're using an external drive connected to your Mac via USB, FireWire, or Thunderbolt, try ejecting the drive from your Mac and then reconnect the drive and restart your Mac. This is by far the most common solution for the backup volume is read-only error. If ejecting and reconnecting an external drive doesn't help, don't head off to reset the permissions because it won't do you any good. Instead, follow these troubleshooting steps. Launch System Preferences and select the Time Machine preference pane. Remove the check from the box in front of Back Up Automatically to turn off Time Machine. If your Time Machine drive is mounted on your desktop, right-click the drive and select Eject [drivename] from the pop-up menu. If your Time Machine drive isn't mounted on your desktop, launch Disk Utility, located in Applications > Utilities. Over the years, Apple has made two similar versions of Disk Utility. The one illustrated here is included with macOS Mojave. More information about Disk Utility is included in Using Disk Utility to Repair Hard Drives and Disk Permissions (OS X Yosemite and earlier) or in Repair Your Mac's Drives With Disk Utility's First Aid (OS X El Capitan and later). Select Time Machine in the Disk Utility sidebar, and then click Unmount in the toolbar. Once the drive is ejected, turn it off or disconnect its cable. Wait 10 seconds and then plug the drive in and turn on the power on the drive. The drive should mount on your desktop. Turn Time Machine back on by launching System Preferences, selecting the Time Machine preference pane, and placing a check in the box in front of Back Up Automatically. Time Machine should be able to use the drive once again. If Time Machine still can't access the drive, you need to repair the drive. Turn off Time Machine in System Preferences. Use Disk Utility's ability to repair minor drive issues to correct the read-only problem. In the Disk Utility screen, select Time Machine in the left panel and click First Aid in the toolbar. Confirm you want to run First Aid on Time Machine by clicking Run in the pop-up window. Wait while Disk Utility works on the Time Machine drive. This process usually takes several minutes. The progress appears in the window along with the details on what is being checked or repaired. When the repairs are complete, you may no longer encounter the Backup Volume Is Read Only error message. Exit Disk Utility and turn on your Time Machine. Is It OK to Use a Drive That Needed Repairs for Time Machine? The short answer is yes. In most cases, this one-time problem is unlikely to have any effect on the reliability of your Time Machine drive. The long answer is a bit, well, longer. As long as your Time Machine drive doesn't continue to have problems that require you to use Disk Utility or a third-party drive utility app to repair the drive, then you should be fine. In all likelihood, this was a one-time event, perhaps caused by a power outage or your Mac or the Time Machine drive turning off unexpectedly. As long as the problem doesn't repeat, your Time Machine drive should be in good shape. However, if the problem continues to occur, it may be time to consider a new drive to store your precious backups.